To Earn 105,000 plum points from Indigo, you must visit www.scotiabank.com/plumrewards to open a Scotiabank Momentum Chequing Account, Scotia One Account or Basic Banking Plan (each an “Eligible Account”) on or before May 13, 2017 and set up your payroll so that it is deposited into your Eligible Account or set up a total of 2 pre-authorized credits (PACs) or 2 pre-authorized debits (PADs) or 1 PAC and 1 PAD. Your automatic payroll, PADs and/or PACs must be set-up and clear the account within 60 days of account opening. 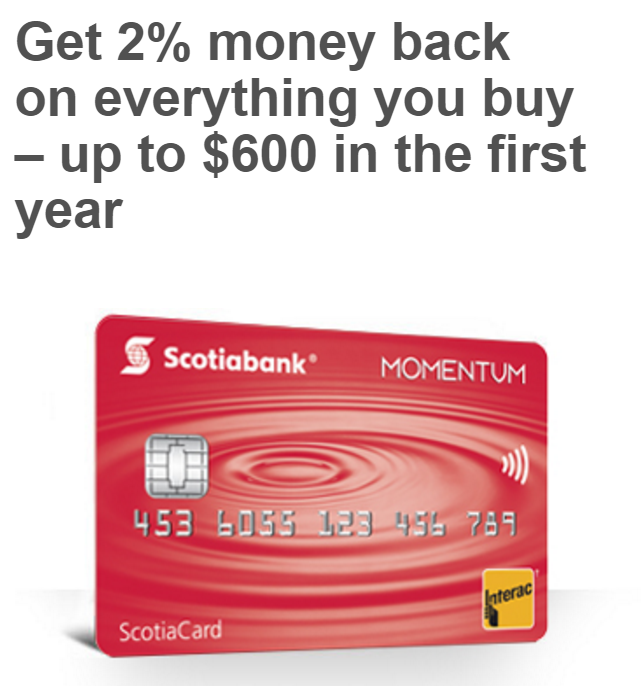 For the Scotiabank Momentum Chequing Account, you can also get 2% cash back on everything you buy through debit purchases (up to $600) before Jun 30, 2017.